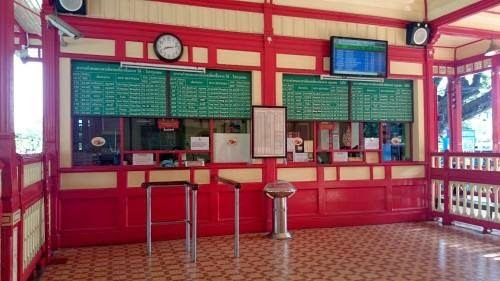 From Koh Tao - Champon - Hua hin need to sit ferry （Lomprayah） from Koh Tao to Champon , then change bus to Hua Hin. This kind of travel normally need to waste quite long time~ around 6-7 hours. 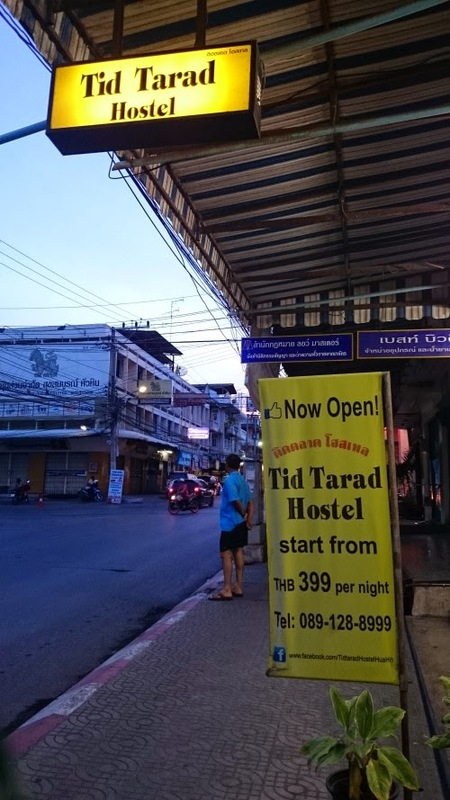 The bus will stop you at Hua Hin Colonnade Mall, then just walk straight to the traffic light and turn left to Tid Tode Hostel ， beside have a polis station. 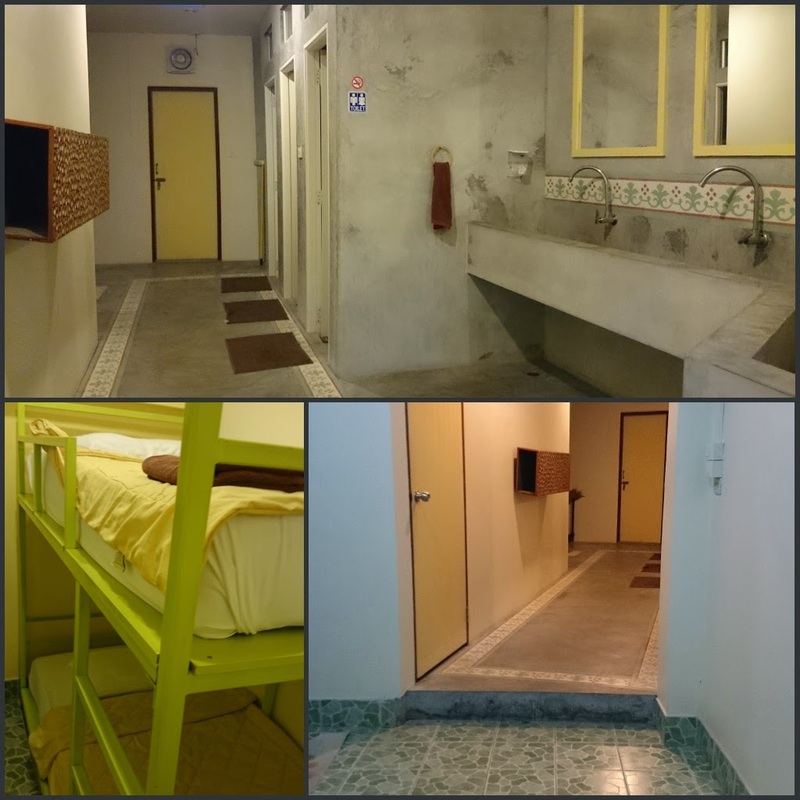 This hostel is not bad, the person in charge also very good and nice, He know many information and can speak English and Chinese very well. Here is where the bus stop us. 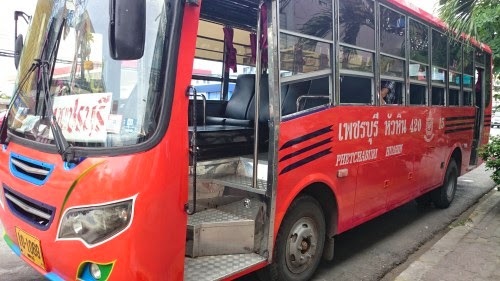 巴士放我们在Hua Hin Colonnade Mall 下车， 直直走然后看到红青灯转左就可看到了~The bus stop us at Hua Hin Colonnade Mall， so just walk straight and turn left when you saw the traffic light, then you can see Tid Tarad Hostel on your right hand side. This place is very clean, I like here! 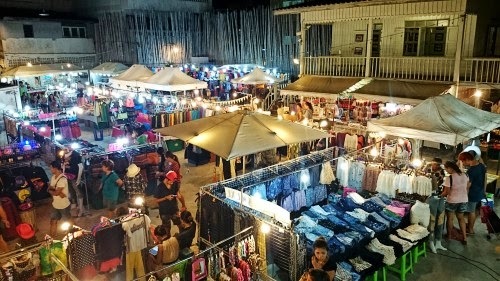 安顿好一切后， 当然是到这里最出名的夜市 Hua Hin Night Market ！这里一路上有许多海鲜店，我不管3721， 随便看到哪一间多人的就进去~ 这间 Seafood Hua Hin Restaurant 的海鲜很新鲜 又大只. Tom Yam 汤更是没话说， 够酸够辣,料又多！价钱也不贵，叫了这么多也才 800 Bath. After that, I go the the night market to hunt for sea food. 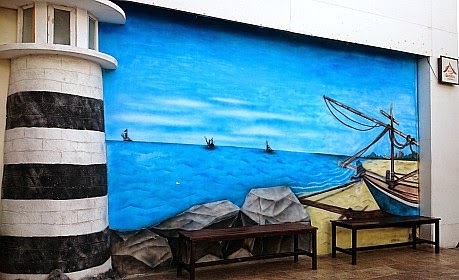 There are many seafood reastaurant beside the street. 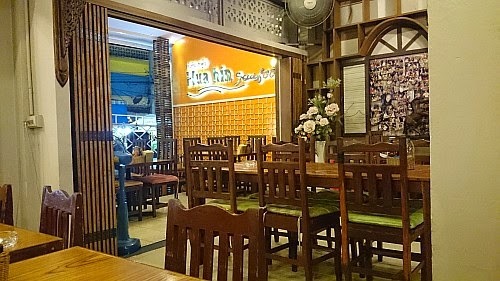 So, I simple walk into one of the restaurant call Seafood Hua Hin Restaurant. The food here is cheap and taste good~ I call 4 dishes only cost me 800 Bath. 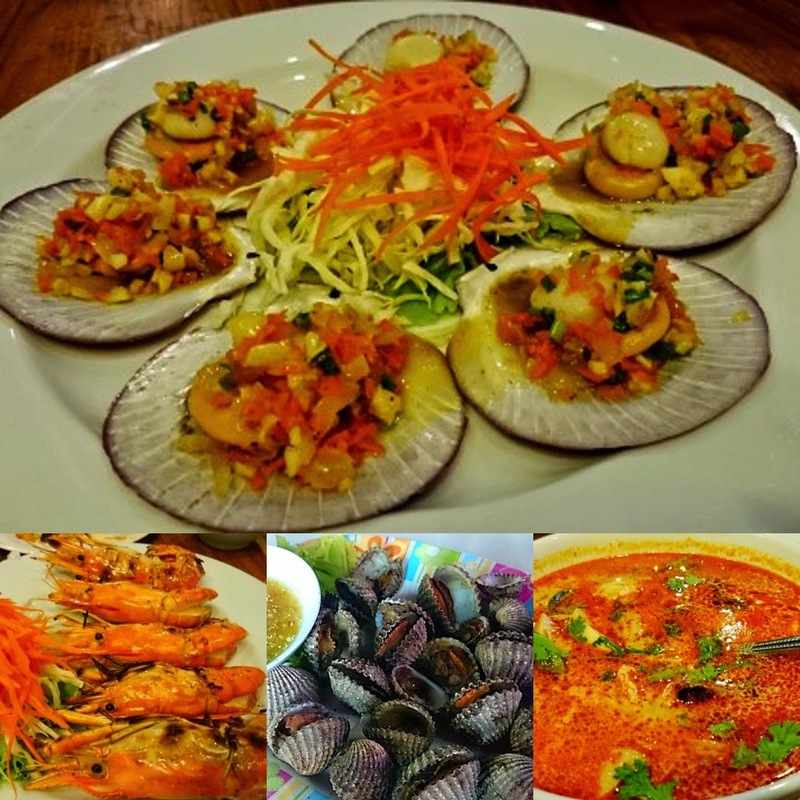 在 SeaFood Hua Hin Restaurant 叫的海鲜餐有啦啦，虾，干贝 和Tomyam 等.
Shrimp, Lala, Tom Yam and scallop only cost me 800 bath! After Finished my dinner, there is also a night market. You can go and walk around and hunt some "thing" with cheap price if you dare to bargain. 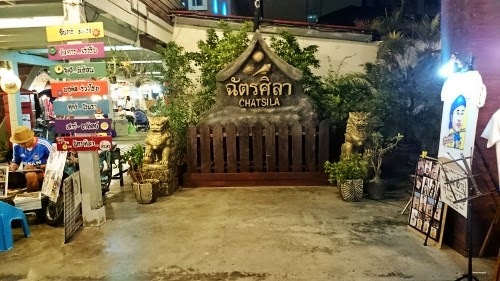 While hunting my "thing" suddenly walk into a small street and saw a path way to Chatsila Night Market. Here is mostly sell some homemade or art's thing. 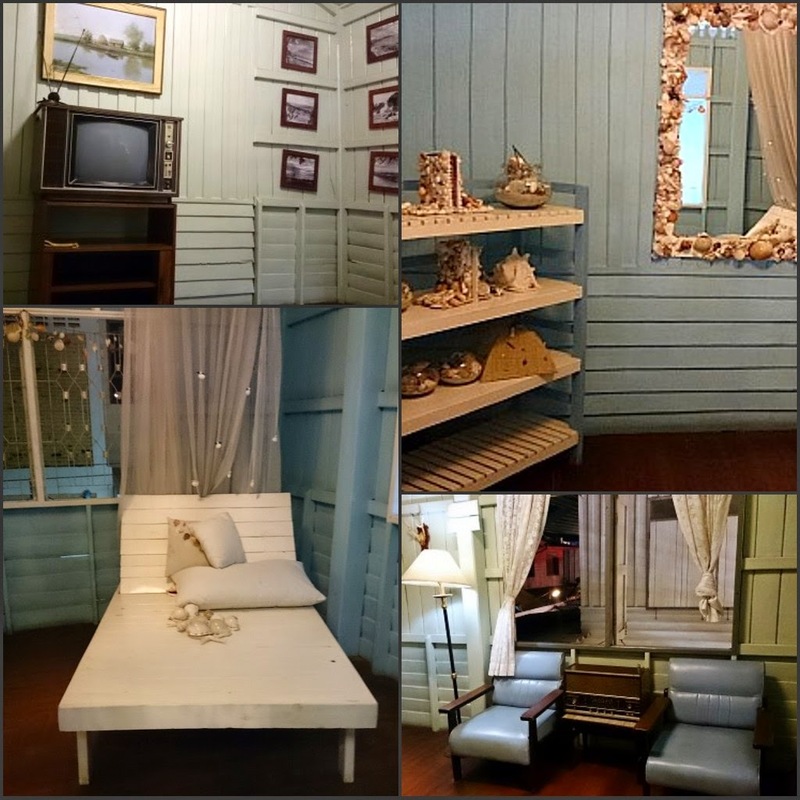 Besides, here also have a show room for you to visit for free. 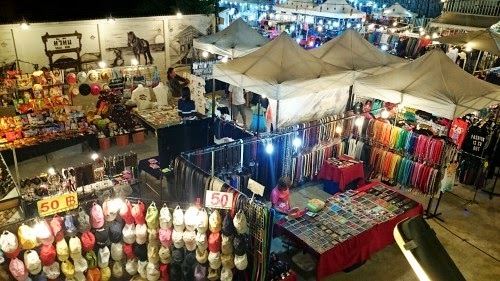 The view of the Chatsila Night Market from Art Show Room. Another corner, and you can see they sell the that only 50 Bath. The next day, walk up in the morning to hunt for my breakfast. 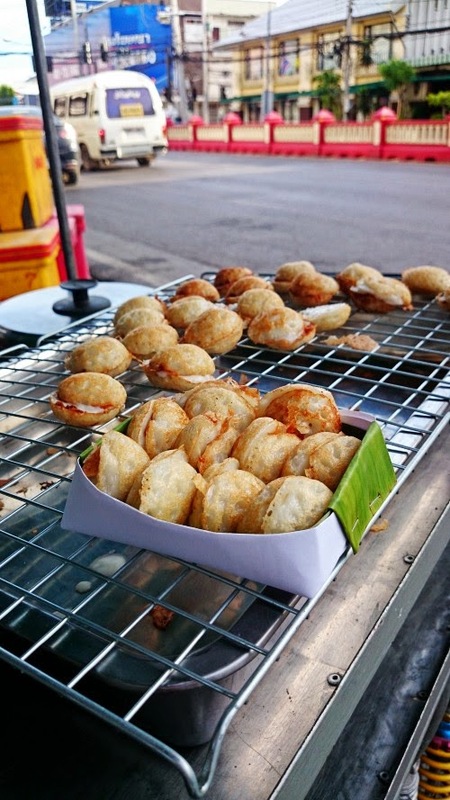 Traveller say, if reach a new place, you must find their food to eat. 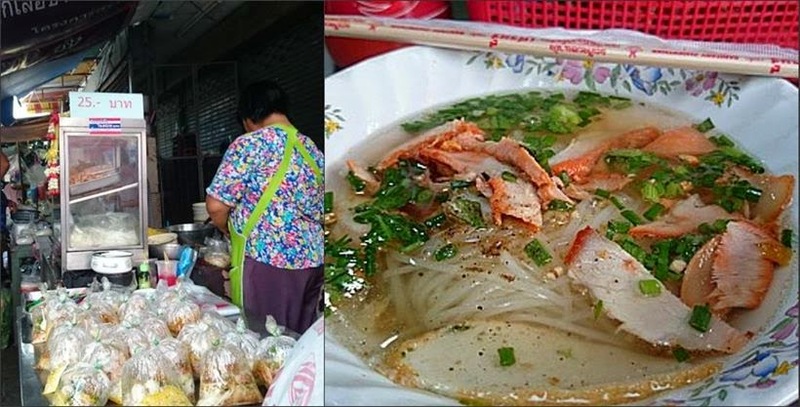 So, i go to their morning market and look around see got what special food to eat. This is chatsila night market, but in the morning is soooo quite. 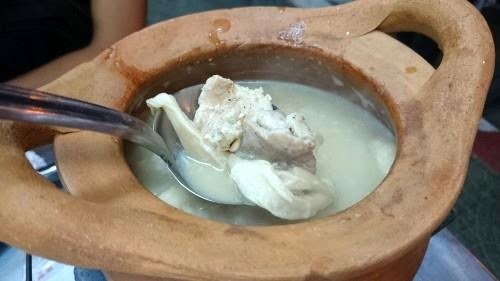 吃饱后， 当然是开始我的行程。 如果你想去 Santorini Park， Maruekhathaiyawan Palace ， Swiss Sheep Farm， Venezia 等都可以搭 420 橙色无空调巴士. 如何找到这巴士呢? 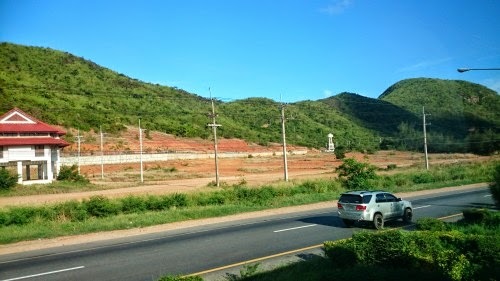 你们可以到 Hua Hin Soi 68 （Esso 添油站对面）就能看到几辆橙色巴士停在哪里. 方便有便宜， 不过时间要拿捏到很好~ 不然有可能要搭 德士回去~ 因为巴士营业时间只到 4pm 点多. 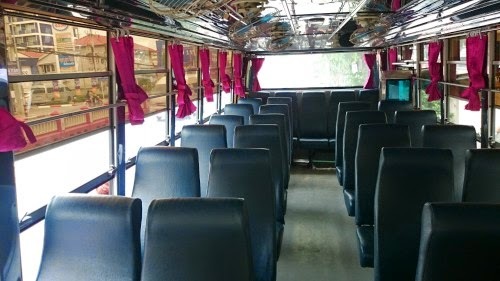 After breakfast, they start my day in Hua Hin with finding the public transport "Orange Bus". How to find "Orange Bus" ? 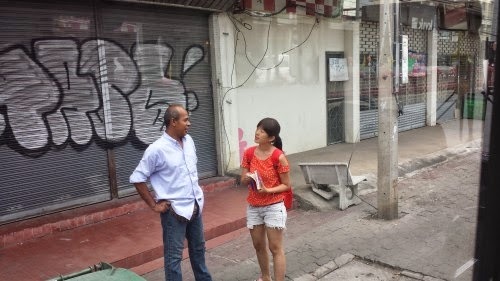 It is located at Hua Hin Soi 68 (opposite Esso petrol station). You can see few Bus stop at there and its color is like my shirt color. 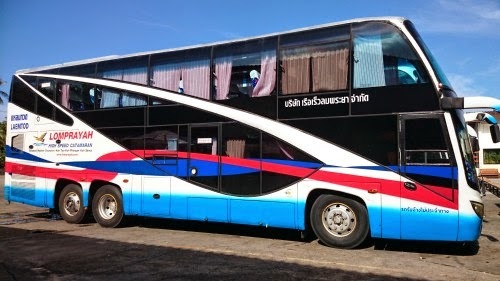 This bus can go Santorini Park， Maruekhathaiyawan Palace ， Swiss Sheep Farm， Venezia and more. 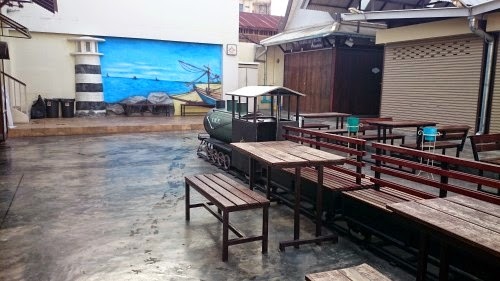 It also can go to the XXL Kitchen Hua Hin (Giant Burger), but unfortunately, we cant make it there because it's too late. 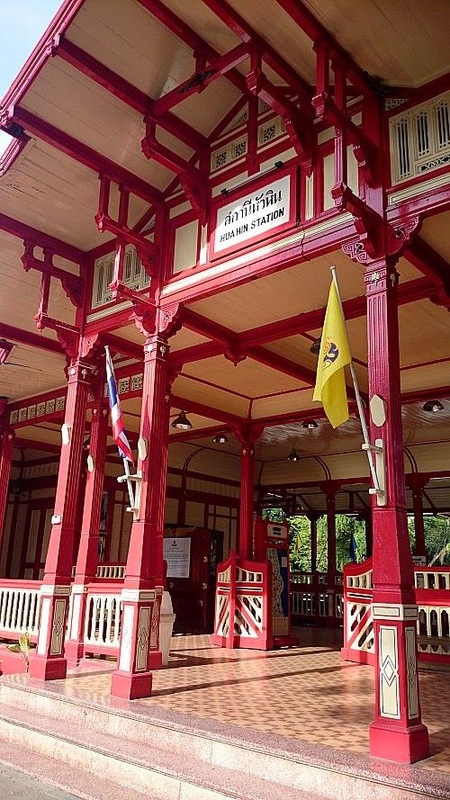 PS: 泰国人实在是好好~ 在 Maruekhathaiyawan Palace 有保安能帮你叫车， 还有Santorini Park 旁的 7-11 的员工也很好, 因为我在 Santorini Park 等不到橙色巴士回宿舍， 他们就好心骑摩多载我到附近的巴士站等巴士 (也刚好巴士刚到， 是橙色的哦!). 这里真的值得我再回来!! 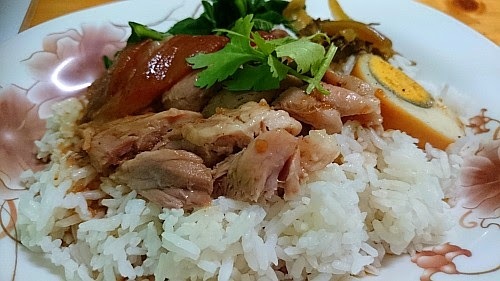 Chicken Rice ... ok only. 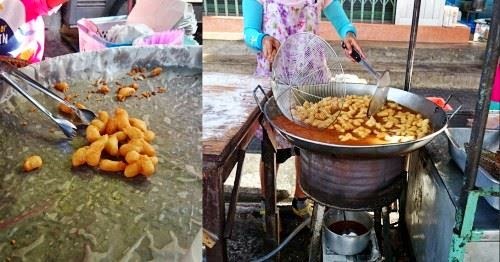 Taste like mee soup, 25 bath only. 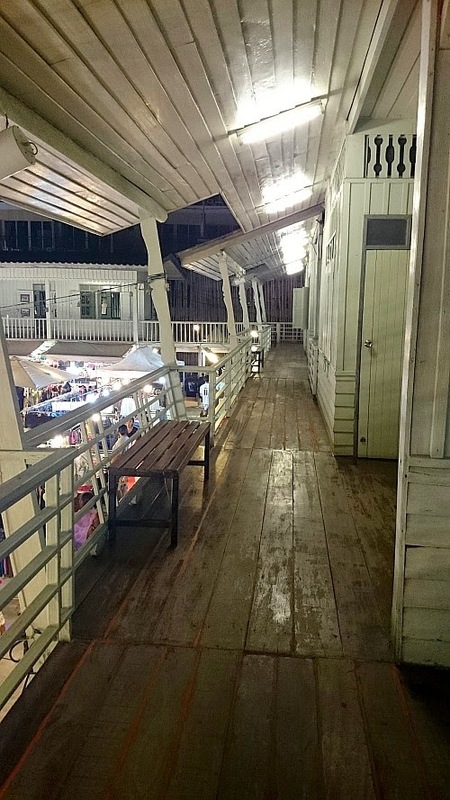 吃饱后就去找 Taxi 司机载我们到 Floating Market 和 Maeklong Railway Market. 这两个地方有点远， 所以不能乘搭巴士了~所以到每个小巷找Taxi 司机讨价还价， 终于从2000 Bath 减到 1200 Bath （不同的德士司机），两个小时车程. After fill my stomach with delicious Thailand food, then need to go find taxi to fetch me to Floating Market and Floating Market . This two place got a bit far from Hua Hin, so the taxi rate also quite high. But I need to train my bargain skill, so need to try for all taxi driver. and finally I bargain from 2000 Bath to 1200 Bath and the time travel to this two place need 2 hour. PS: 在讨价还价的当儿，又为好心的 IPOH人来看热闹（他住泰国很久了），他有说那个价钱在1000 Bath - 1300 Bath. 所以我就尽我所能得砍他们! 还好有砍他们，不然就他们砍我! 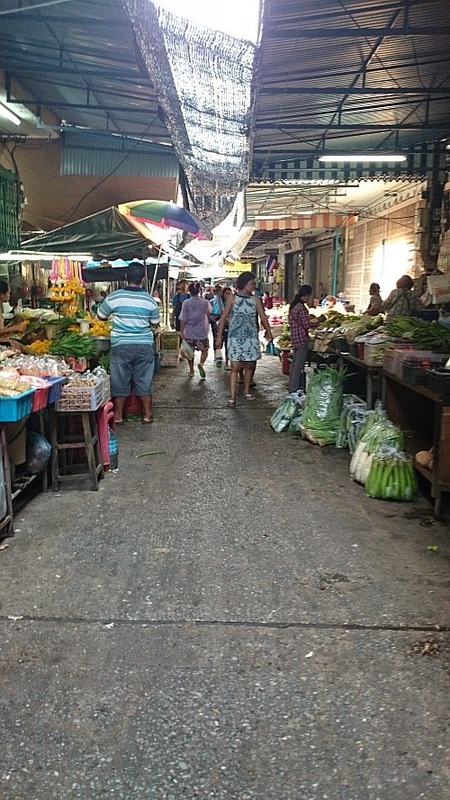 晚上回来，还是到 Hua Hin Market 最后的冲刺!但由于有走远一点~发现了不一样的美食!从夜市直走就会看到很多人在外吃泰国火锅~不过要早哦! 泰国火锅叫 Jim Jum 很好吃哦！ 我那时是 8.00pm 这样到， 他们的火锅已经没有菜了， 所以问我们蘑菇可以吗~ 当然可以， 因为我只是想要尝试他们当地的食物罢了! 他们9.00pm 准时关门.... 那些还没吃完的朋友们，还可以慢慢吃， 因为你“大赛”, 就是在说我! 不过这个 Jim Jum 的汤头超好喝的! 肉也满Q. 可以看到有两座的朋友，一个人吃（有男有女）， 所以 这个Jim Jum 一个人也能吃完! 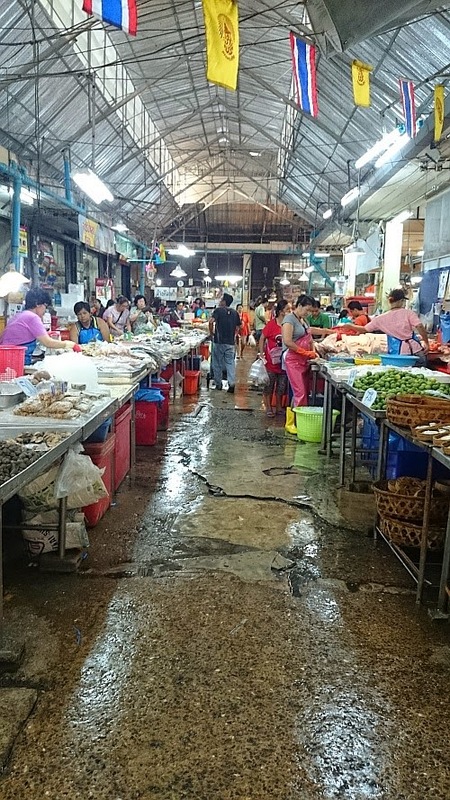 At night, I still come to Hua Hin Market for the last shopping, but this time, I walk to opposite area to see what interesting. And I found a shop which I saw there have many claypot on the table. So I find a place to sit and order the same thing which people order. When I order, they say already dont have vegetable, they replace the vegetable with mushroom. So I say ok, because I just want to have some try. 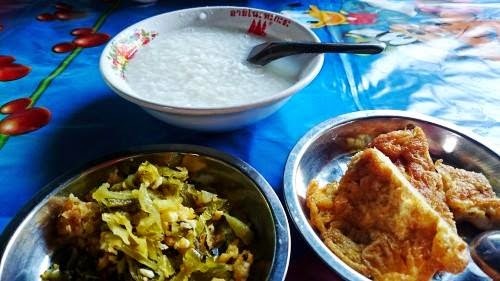 This food taste incredible NICE!!!! 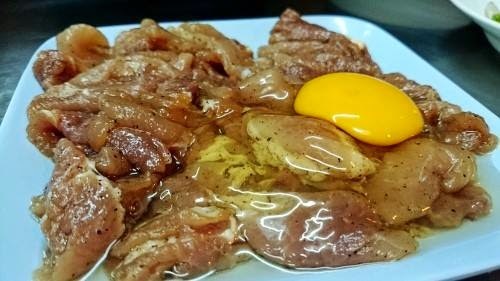 The meat is very soft, the soap very delicious. BUT NEED COME EARLY, BECAUSE THEY CLOSE AT 9 pm. 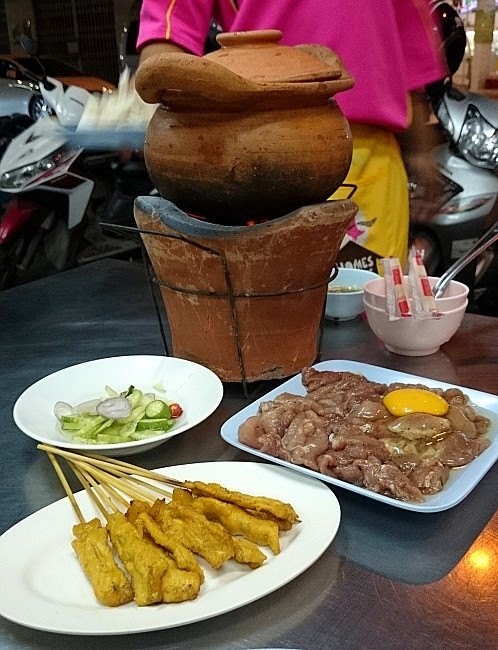 This Food is call Jim Jum a Thailand style steamboat, can eat alone also (quite many people eat alone). 我的第一次， 不知道怎样吃，所以问他们. 他们就因为赶时间把肉，蘑菇统统倒完进去....然后滚了，就能吃! 不过当我第一口喝它的汤头就停不下口了!!! 意外的好吃! 很够味! Guess what I'm Eating? lolx. 泰式火锅 Jim Jum 一级棒! 会在回来吃! The shop located at here, walk straight from the night market and you can see the shop. 来到华欣时间真的过得好快， 转眼间就是最后一天了. 由于我们 11：00am 才 Check Out, 趁早上还有点时间就到处走走~ 不过还是要吃点早餐. 猜猜今天的早餐是什么? Last day at Hua Hin, my check out time is around 11.00 am . 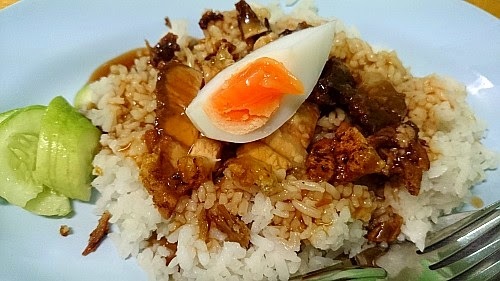 So in the morning of cause find thing eat first before go to Bangkok.Today my breakfast is what? can guess when look at the picture? Guess what is this? This our malaysia call "yao zha guai"
What!? Porridge only 20 Bath ? 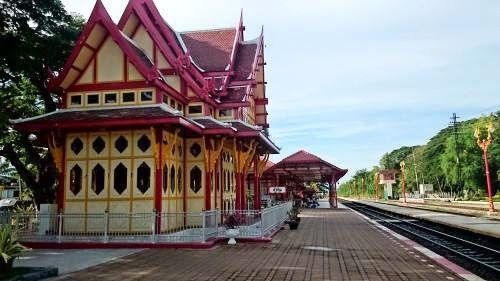 After breakfast, I just have time walk around my Hostel area, and go to visit the Hua Hin Railway station. 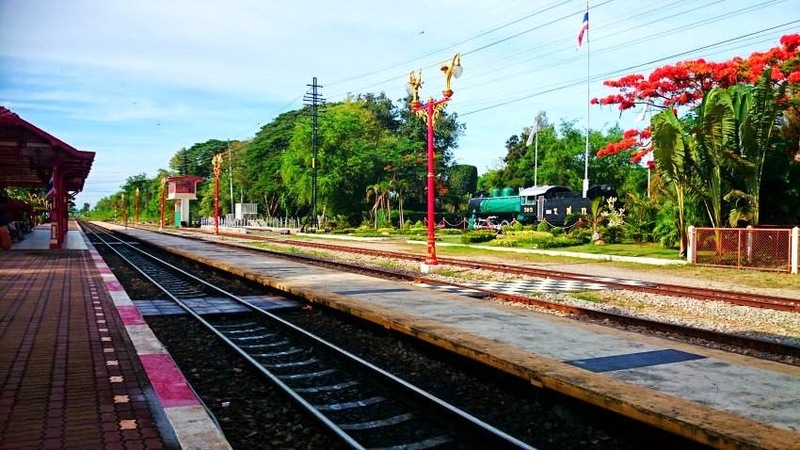 A Historical Railway station. waiting for my train to come. The train still got pass by here. After finished visit, It's time to go back pack my thing and go to bangkok by Mini Van which cost 180 Bath (3 hour). Mini Van Travel Time Table. 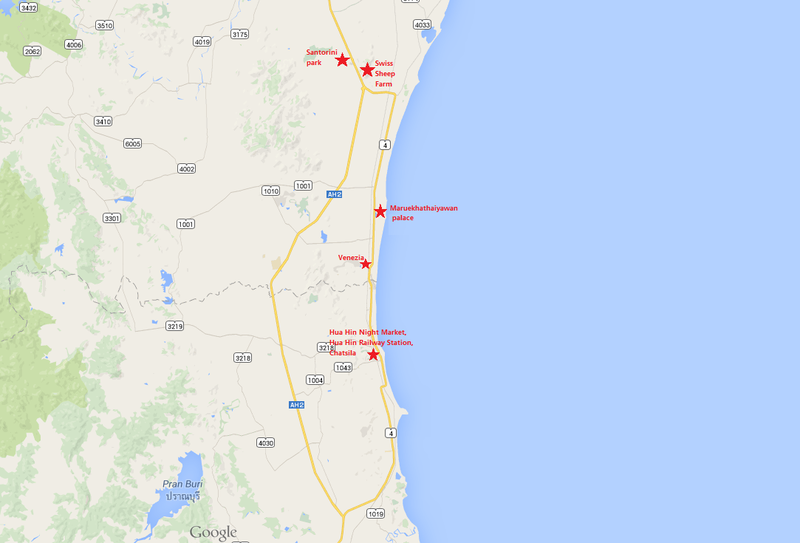 All the places in Hua Hin that I have visited.